As the countdown to Asian Games 2018 has started with just a few days left, all the Indian sportspersons are all set to perform their best in the Asian Games, which is going to take place in Jakarta and Palembang and will start on August 18. 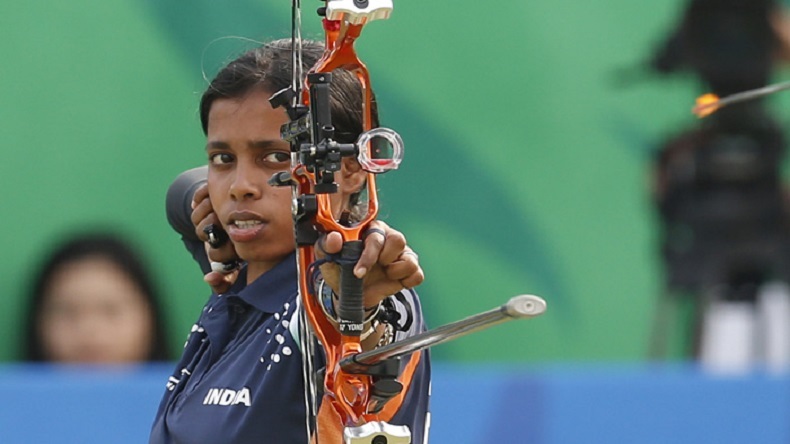 Among them is Trisha Deb, who won the Bronze Medal at the 2014 Asian Games in Incheon, South Korean city, the women's individual compound archery event. As the countdown to monolithic Jakarta Asian Games 2018 has started with just a few days left, all the Indian sportspersons are all set to perform give their best in the Games, which is going to take place in Jakarta and Palembang and will start by August 18. Among them is Trisha Deb, who made the country proud by winning the Bronze Medal at the 2014 Asian Games in Incheon, South Korean city, in the women’s individual compound archery event. Deb, 26, who is currently according to a report by sportskeeda, is world number 39 in women’s compound event, was born and brought up in a lower-middle-class family in Kolkata, West Bengal, where her father worked in a private firm, and mother used to give tuitions sessions to students. Her journey in Archery began in the year 2000 in Bada Nagar archery club which has given charismatic stars like archer Dola Banerjee. Deb was also the member of the women’s compound team which won silver at the World Archery Championship in the Mexico City, which was the 1st Indian medal in the compound team archery section at the World Championship. Deb was also the member of the compound team which won a gold medal at the Asian Archery Championship in Dhaka, Bangladesh. The history of Archery has gained importance, as in the past ancient civilization bows and arrows were used as a weapon to kill and hunt wild animals and they were also used during wartime. since then, innumerable years have passed and now they used to win medals for the country. Archery became part of Olympics in 197 and in the following year the Archery Association of India (AAI) came into force and just a few months later the first national Archery Championship took place Lucknow, Uttar Pradesh.